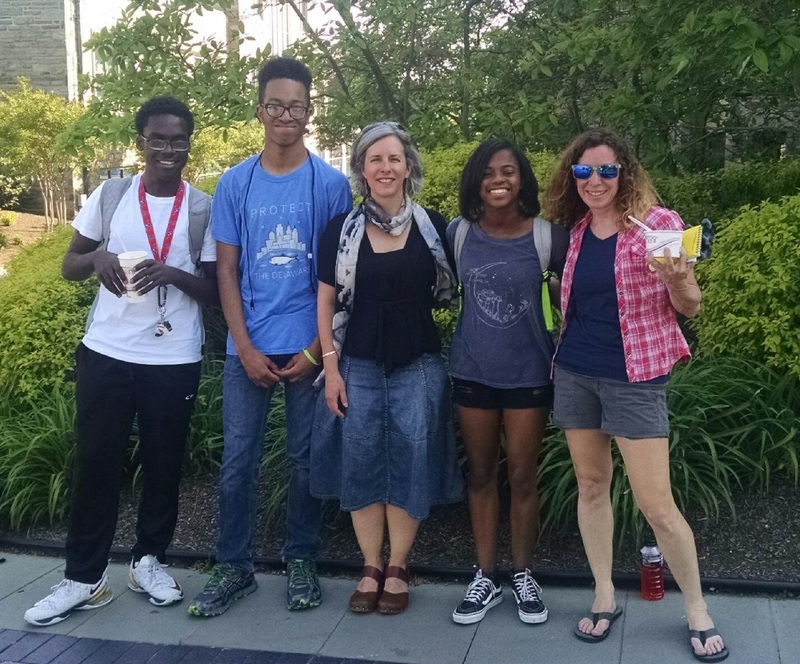 The roof has grown—SLA Beeber students wrapped up version 1.0 of their Smart Green Roof model at the Fairmount Water Works this month, completing the project by creating the storage layer and planting sedum. 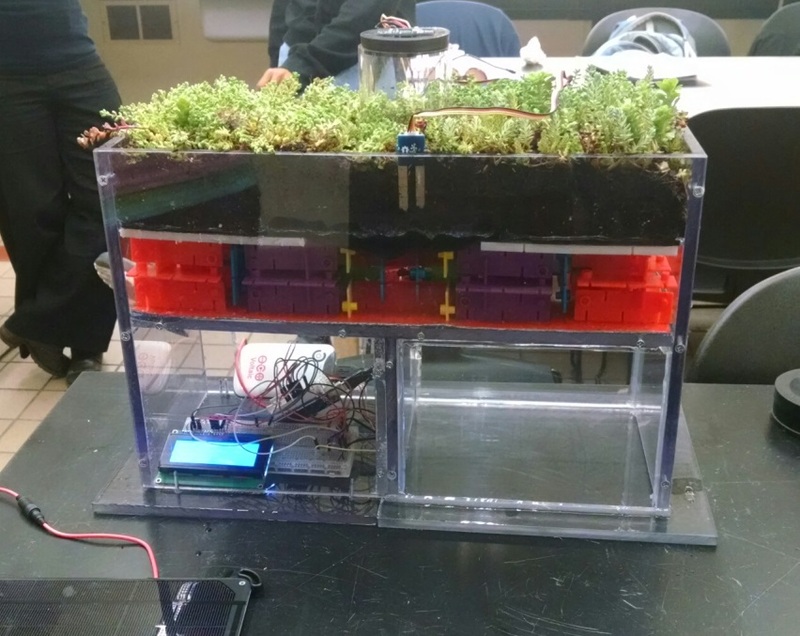 The storage layer—made of brightly colored plastic pieces beneath the soil (constructed from Locktagon toys)—is designed to hold water as it seeps through the soil and through a filter fabric. 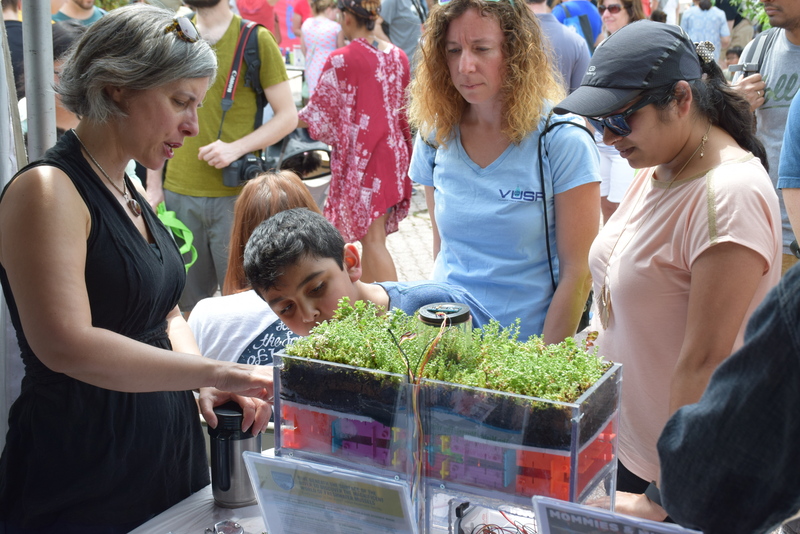 In April, the Smart Green Roof team brought the model to the Philadelphia Science Festival, where we demonstrated how green roofs work and what they do: capture stormwater, reduce the urban heat island effect, and save energy by insulating buildings. This week, we finished with a trip to Villanova University to check out the green roof on top of the college’s CEER building. 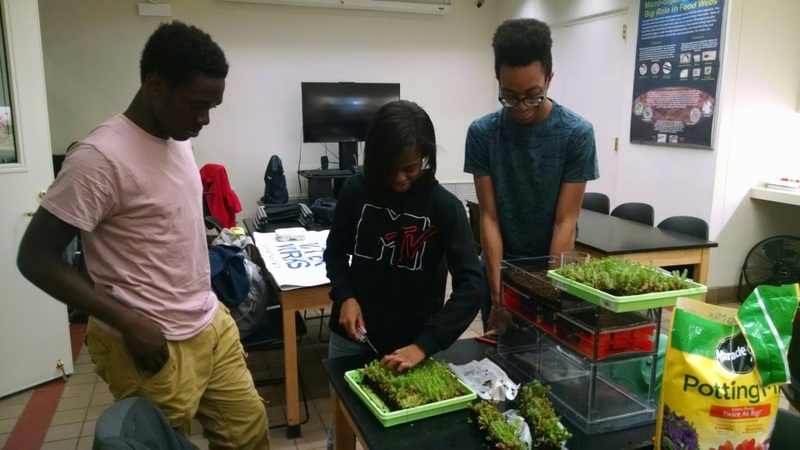 Because Villanova researchers have also outfitted their green roof with a variety of sensors and irrigation devices, it is very much like a scaled-up version of the Smart Green Roof model.